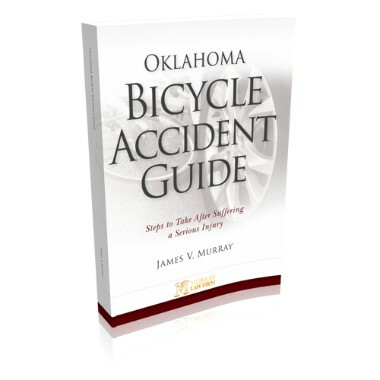 Murray Law Firm has created several free legal guides to help you better understand and protect your rights. Download them for free today. When facing legal issues, it’s extremely important you find a legal team you can trust. Murray Law Firm is a full-service law firm offering strong, compassionate, and effective legal representation in Stillwater, and throughout Oklahoma for over 30 years. Whether you are dealing with a personal injury case involving a car accident, or a family law matter such as divorce or child custody, our dedicated legal team will create a customized plan of action that will meet your unique needs. We’ve seen just about all there is to see, and we know how to effectively present a case to a jury. Our team of trial lawyers have represented countless individuals and their families in a wide variety of practice areas throughout Oklahoma. No case is too big or too small, too complex or too simple for the Murray Law Firm. We will take on any case where we believe we can help real people get the justice they deserve. 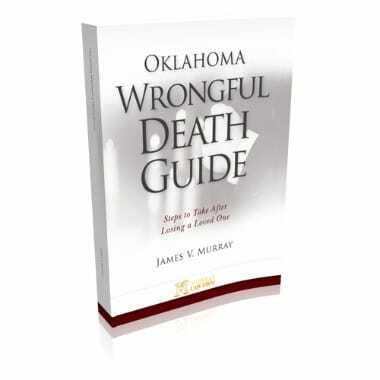 As an experienced Oklahoma lawyer, I enjoy helping people. It’s easily the most satisfying part of my job and it’s what drives me to come in to work every day. Those whom I help are real people with real problems, not walking ATMs that come in to my office to spit out money for my services and then leave. It’s important to remember that clients are more than just clients. I always make sure that I do. Why Choose Murray Law Firm? We have a track record of success. We know how to win and we are very good at doing so. If you don’t win, neither do we. The best Stillwater lawyers are the ones who care about their clients. We treat everyone who comes into our office like their problems are our own. We’re here to help, not to make a quick buck. If your case needs to go to trial, then we’re ready to send in the troops. Learn more about your legal matter and your rights under the law by watching our educational legal videos on a variety of topics. James Murray was quick to respond in a serious time of need. I would recommend my attorney James Murray to anyone who wants a serious lawyer. He is great in the courtroom and was great advocating for me and my children. James and staff are courteous, helpful, and professional. James always made time to discuss all matters with me, answer all my questions, and put my worries at ease. I called Murray Law Firm and it was the best call I ever made! The staff at Murray Law Firm met or exceeding all of my expectations. They do everything in their power to provide you with the most recent information they have available to them. They are a friendly group that makes you feel like they are fighting the fight with you as a partner. Thomas represented me extremely well, spending hours reviewing the case. I visited with three firms prior to finding Murray Law Firm and I can personally vouch for them in saying that your time would be wasted elsewhere. I used James Murray for my divorce after 25 years. This has been my only time Ive needed a attorney. James was one of the best decisions ive made besides the divorce. He went above and beyond. I got everything i wanted plus. I have since sent many of my friends that need a attorney for any reason. James i thank you very much and will refer you because i believe you are the best in town. I had been married almost 31 years when my husband passed away from an accident. I’d lost the love of my life, my rock and the person I counted most! He was in many ways my financial support system. I was going to need an attorney. One with experience, and that could handle a case like mine. Murray Law Firm took on a trucking company and their insurance company while continually working to produce results even when the insurance company worked hard not to pay a fair amount! In closing I couldn’t have been more pleased with the efforts that Murray Law Firm gave on my behalf and that of my family.